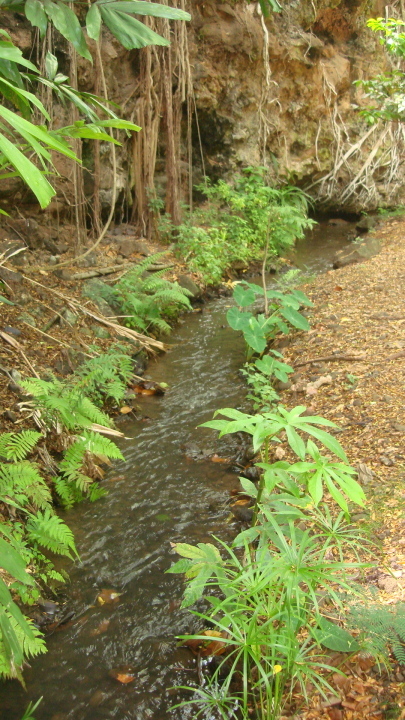 Kahawai –The kahawai is a stream, a source of water that begins in the mountains. In the same way one cuts a fish from tail to head, water cuts through the valley; it provides water for the loʻi, and empties into the sea. Mānowai – This refers to the rock structure that does not dam the water, but slows the water to help channel it. Water flows down in one piece, and upon flowing over the mānowai, breaks into many pieces. 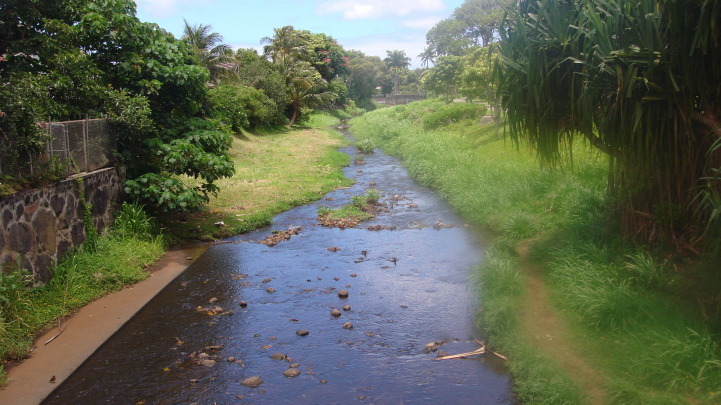 Poʻowai – The poʻowai is the headwater where water enters into irrigated ditches where it flows until reaching the loʻi. 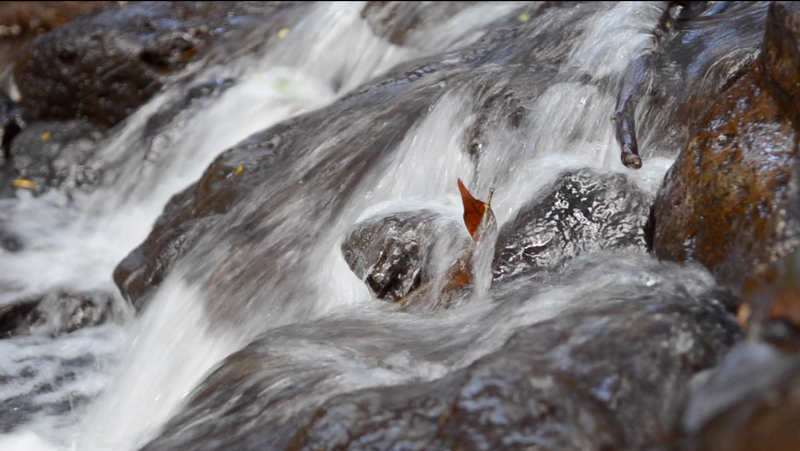 It is from this point that the amount of water flowing into the loʻi can be controlled. 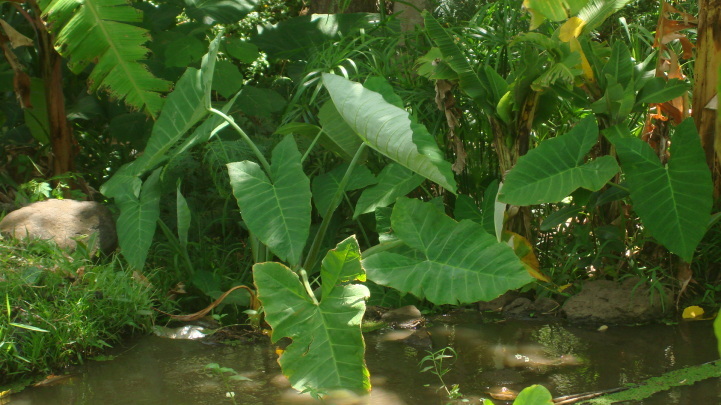 ʻAuwai – The ʻauwai is an irrigated ditch used to transport water. 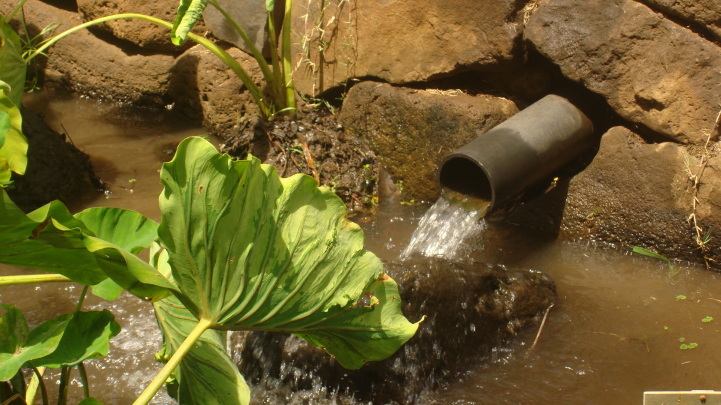 It is the ʻauwai that carries water from one place to another. 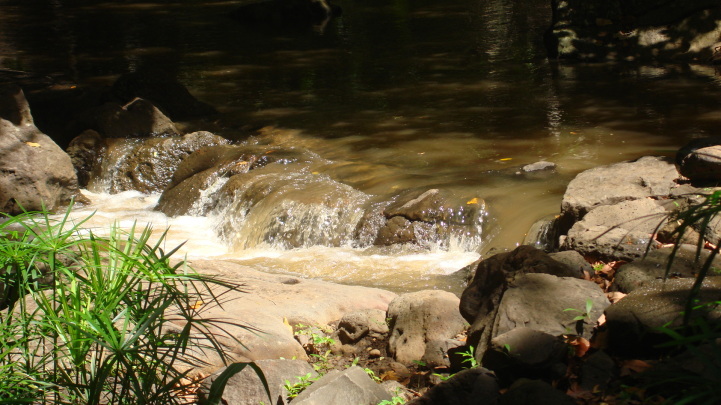 In the loʻi system, it is what carries water from the stream to the loʻi. Makawai – The makawai are the openings in the banks of the loʻi where water enters and exits each loʻi. Hoʻi wai – The hoʻi wai is the place where the water leaves the loʻi and returns to the kahawai. 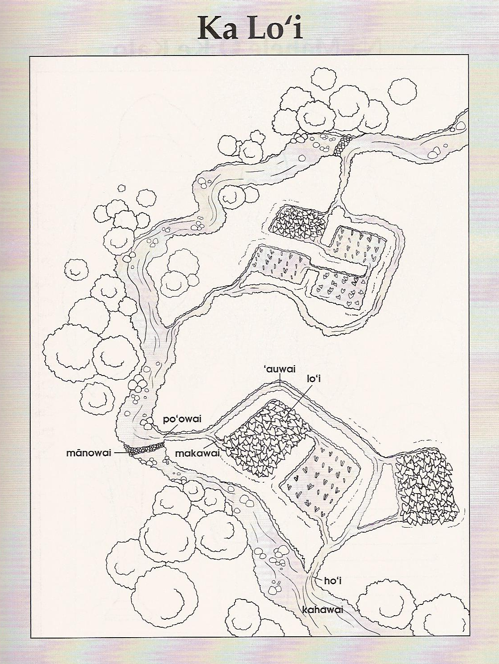 Here is an example of the water system similar to Kānewai and Punalu‘u. The picture is from the Kamehameha Schools Explorations book. This picture is used in the Punalu‘u section of the book. The Explorations program have been coming to Punalu‘u for the last 5 years.